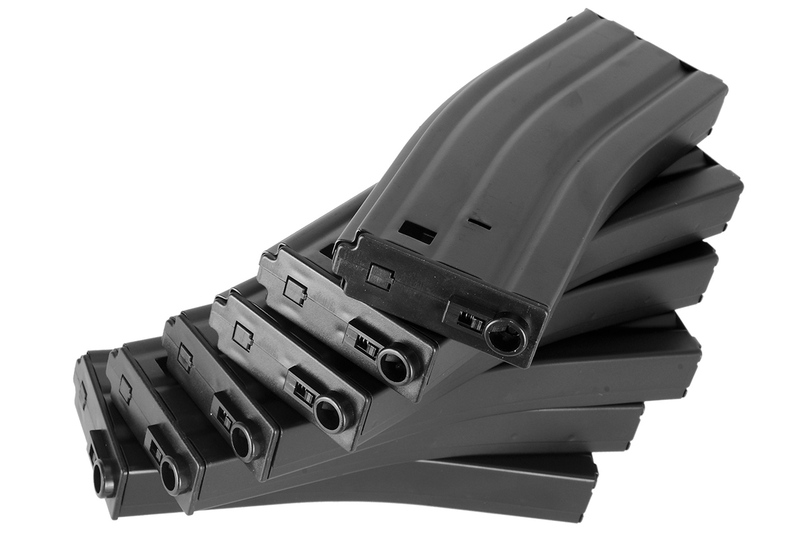 The six pack of magazines is enough to run your entire loadout out their for a game of airsoft. The 45 round capacity allows you to quickly reload to another magazine for a more realistic feel. This magazine is recommended for use with the A&K, Echo 1, JG, Tokyo Marui, Classic Army, VFC, ICS, G&G, and G&P M4/M16 series AEGs, it may work with other brands AEG but cannot be guaranteed by Airsoft GI.